July 3, 2013 /2 Comments/in Shoe Odor /by Jenn F.
Boston-based Ministry of Supply set out to raise $30,000 for their new brand of high-tech performance foot odor control socks, but they have tripled their Kickstarter goal in less than two weeks. Last year, the company raised $429,000 for a sweat-resistant men’s dress shirt, so apparently the public is hungry for more. How Does Coffee Remove Foot Odor? 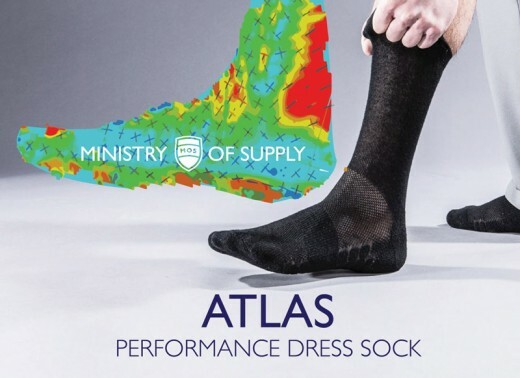 Ministry of Supply’s new dress sock uses carbonized coffee to eliminate odors, while incorporating heat management, moisture-wicking, comfortable materials into the sock’s design. According to sock makers, the socks are made with carbonized coffee, which is “reclaimed from coffee roasters and shops, and is processed through a pharmaceutical process to remove the coffee oils (so it won’t smell like coffee!) and is then infused into our recycled polyester yarns.” You can think of it as a giant coffee filter. What Else Makes ATLAS Socks Innovative? 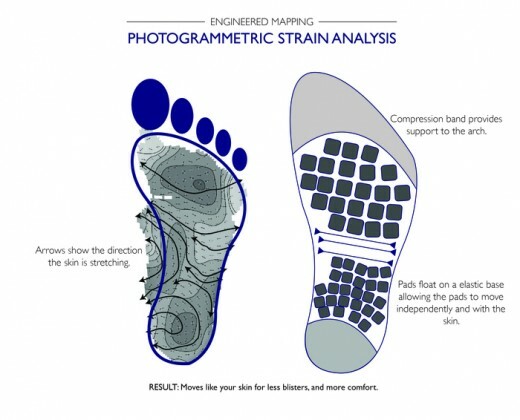 The group performed strain analysis using pressure mapping and thermal imaging to map out the stress points in the feet and guide the placement of cushioning and ventilation. “Our engineering analysis revealed how the skin of the foot moves so we could create a sock that moves in the same way, leading to loafer socks that don’t flip under your heel, and a more comfortable stride,” Ministry of Supply’s Derek Switaj told CNET. The socks are then manufactured using a 3D computerized knitting system — much like a 3-D printer. Two pairs of sock will cost a pledge of $28 donated to Kickstarter. These socks are not available in stores yet, nor are there any reviews to say whether they work or not. You can be the first person to test them out with a minimal investment. Here at SteriShoe, we love innovation and we’re happy to see other companies working to address the embarrassing problem of body odor in the workplace that affects so many Americans. The new ATLAS sock helps remove foot odor by absorbing sweat, which is one of the contributing factors for stink in shoes. Moisture released from the feet’s 250,000 sweat glands creates the sort of damp environment that causes bacteria to flourish. There are no antimicrobial properties in these socks, so you will need to combine them with another solution that tackles the whole problem. The SteriShoe UV Light shoe sanitizer effectively sanitizes the shoe, killing up to 99.9% of the microbes lurking inside your footwear. All it takes is a 45-minute cycle at night before bed and the microorganisms building up in the shoe are eradicated. Best of all, you didn’t have to bathe your feet in powders or chemicals to control foot odor. Some great solutions for sufferers of bad foot odour. I’m currently researching for my blog regarding bromodosis. I’ll be sure to refer to your suggestions. Health Risks of Walking Barefoot Through Airport Security What Do Your Feet Say About You?